NOTE: This website is no longer actively maintained. To stay up-to-date on the publication of project results, please visit Matthew Piscitelli’s Academia page. My name is Matthew Piscitelli (Ph.D., University of Illinois at Chicago) and I am an archaeologist and National Geographic Explorer. Since 2008, I have worked in Peru and dedicated my life to uncovering the country’s rich, ancient past in order to preserve it for the future. This website not only chronicles my exciting adventures, but it also shares the results of my innovative research at the Late Archaic (3000-1800 B.C.) site of Huaricanga in the Fortaleza Valley along Peru’s north central coast. 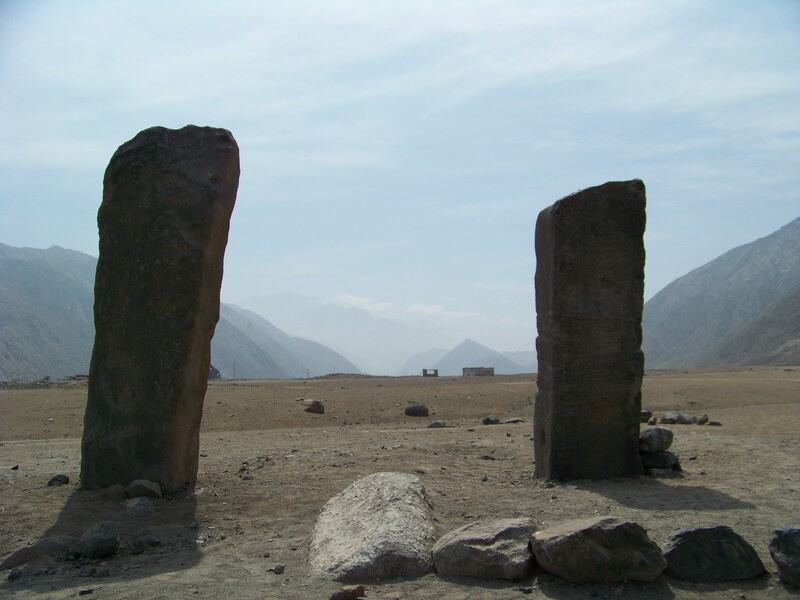 Huancas, or “sacred stones,” at the site of Huaricanga in the Fortaleza Valley of Peru. Matthew at the site of Fortaleza Paramonga, an ancient fortress in the Fortaleza Valley, Peru. Huaricanga Then and Now: Who Owns the Past?